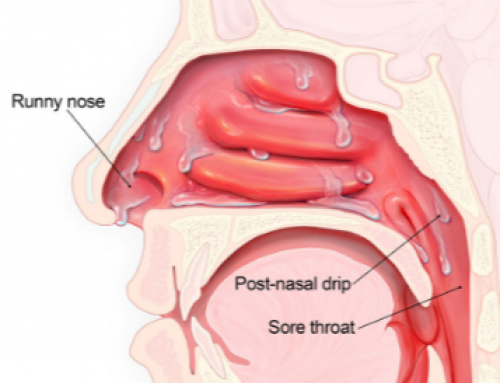 What causes large pores? 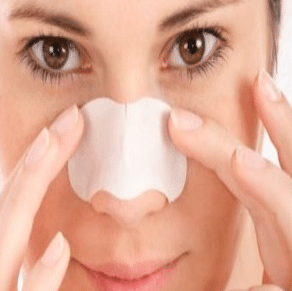 Get more insights on how to minimize pores on your nose, face permanently, naturally and by use of best products. 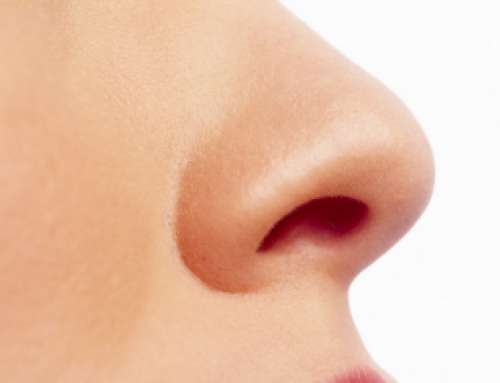 Pores are essential openings on your skin for exchange of gases and removal of toxins from the body. However they help in maintaining the skin healthy, soft and clear. Large pores are more visible when they become enlarged, clogged, dilated and infected hence a beauty problem. Genetics and age are the main factors that cause large follicle openings on the skin. Individuals with thick and oily skin have more of this problem. Aging makes the skin less elastic and hence susceptible. 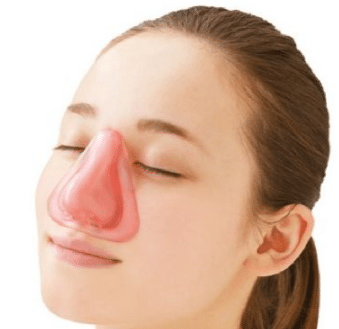 This is due to low production of elastin, collagen, cell renewal and low sebaceous glands activity. 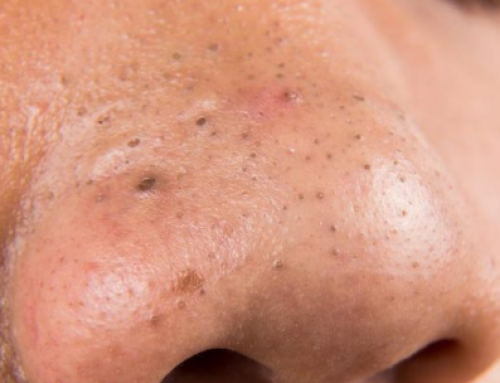 Blackheads and whiteheads are also the main cause. They mainly form when the skin pores become clogged by dirt and oil hence attracting bacteria which increase the size. Sun poisoning that happens when the UV radiations from the sun damages the cells is also a reason. 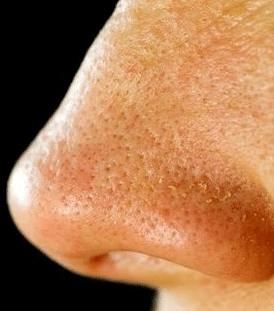 Pores play a big role in the removal of wastes from the body through sweat. Too much oil is also released on the skin surface through these follicle openings. Therefore you cannot permanently close pores but you can minimize them to appear small and less visible. Keeping them clear is the fastest way to prevent them from becoming bigger. Always wash your face gently using a cleanser before you get to bed. This helps in removal of dirt, oil and makeup that can build up hence increasing the size of pores. You should also clean before and after working out since large amount of sweat produced carries debris that can cause the skin pores to stretch. Right after manual works and physical exercises remember to take a shower or wash your skin to help on minimizing enlarged pores. Exfoliation is very important since it helps in the removal of a dead skin cell layer that sometimes causes large pores. You can use natural face scrubs or over the counter masks, gels and lotion that are proven to contain sloughing ingredients such as alpha hydroxyl acids, salicylic acid, fruit enzymes or retinol. Exfoliating your skin two times a week can help. Always remember to use an SPF 15 products which also helps in protecting the skin against UV radiations from the sun. The new soft layer of the skin is too sensitive and should be protected from sunburn and poisoning. You should pick wisely the type of skin products you use on your skin. While some ingredients are good for a soft glowing skin, others can clog your pores. If you are aiming on how to minimize pores, go for products that contain zinc and magnesium that are essential for clearing pores and restoration of skin oil balance. Products labelled ‘noncomedogenic’ will not clog pores are hence suitable for you. Alpha hydroxyl acids, salicylic acid, fruit enzymes or retinol are also ingredients that helps in skin exfoliation. There are also products with soothing ingredients such as rosemary and lavender which can prevent pores from stretching out. Too much exposure of the skin causes burning and drying of the skin hence making pores look larger. The UV radiations from the sun are also harmful to the skin. It increases the rate of cells aging hence formation of a dead skin cell layer. Wearing sunscreen while in the sunlight can help. Broad-spectrum sunscreen with SPF above 30, broad brimmed hat and avoiding hot sunlight from 10 a.m to 4 p.m are highly recommended. Wash your skin immediately with cold water when you have experienced sun poisoning and apply a suitable skin moisturizer. Large pores on the skin are displeasing to the eyes which can make you feel embarrassed. Fortunately, there are several practices you can do to close large pores and reduce their sizes. Skin caring and proper home remedies can help you solve these issues. For other case, laser treatments are applicable. If large pores on your skin are bothering you and it is now a beauty problem, get the following tips. Use cold water or ice. Take very cold water on the basin and soak the affected part of the skin for about 10 minutes. Alternatively, rub the skin with ice cube for 15 seconds. Very low temperature of the water and ice makes the skin to contract which tighten it to close the larger pores and make it appear smaller. Use baking soda. Prepare a paste from one tablespoon of baking soda and water. Use your hands to apply the paste on the affected area of the skin and leave it stay for about 10 minutes. Use tap water to rinse your skin. Baking soda helps to close and minimize the visibility of large pores on the skin. Apply an egg white mask. Take two raw eggs and extract egg whites, mix it with half glass of fresh orange syrup. Apply the mask in the affected part of the skin. Give it about 15 minutes before rinsing it with lukewarm water. Egg white mask help to tighten pores on the skin while orange syrup brightens the skin and these will minimize pores on your skin. Use a tomato pulp mask. Take ripen tomato and peel it. Cut it in halves and remove its seed, mash the tomato pulp and apply to the affected area. Give it five minutes before rinse it with cool water. Alternatively, slice the tomato and rub it directly onto affected area of your skin. Leave it to stay for five minutes and wash it. Tomato extract helps to close large pore on the skin by tightening the skin. Use a mixture of honey and gram flour solution. Take 1 cup of water, 1 teaspoon of honey and 1teaspoon of gram four. Mix it properly and apply it on the affected area and let it sit for about 15 minutes. Wash it using cold water. Apply toner made from kiwi fruit and lime juice. Take 1 table spoon of lime juice and bled it with peeled kiwi fruit. Add equal water volume and apply it to your face. Let it sit for about 15minutes and rinse it using cold water. Papaya mash. Take a papaya, peel it, remove all seed and mash it into a paste. Apply the extract of papaya on the affected part of the skin that has large pores and leave it to sit for about 15 minutes. Rinse it off with lukewarm water. Papaya mash helps to minimize pores on the skin. If you don’t want to close the pores on your skin you can make them contract and minimize its appearance. Here is the common skin treatments used to make the skin pores to shrink. Use Laser treatment. The use of laser treatments is effective and more permanent solution to large pores, though the method is very expensive. For most case, non-ablative laser treatments used are; Medlite and Fraxel that increase collagen on the skin that makes it tighten the pores to shrink. Have a prescription for Accutane. These are strong medication that is used to treat acne. The treatment will physically shrink pores rather than reducing their size. The use of Accutane is effect though it has side effect that makes the skin very dry.it is believed that Accutane has the ability to shrink the large pores to normal size. Use products of retinol. Retinol is derivative of vitamin A which is used as anti-aging. It is also in products of ant-acne. Retinol helps to turnover cell of the skin that unclogs the pores and makes the skin pores to shrink. Practicing good skin care can help you to minimize pores appearance on your face and other skin part of the body. The following are tips to make the pores smaller. Maintain clean face. Skin debris, oil and dirt can clog the pores on your skin, which makes it appear larger and more visible. It is advisable to keep your face clean to reduce amount of dirty and oil that can clog the pore. Wash you face twice a day, morning and evening. These will help you to keep the pores open. Use lukewarm water instead of hot water with washcloth to clean your face. Exfoliate the skin. Exfoliating the skin helps to remove skin debris and dirt that clog off the pores on the skin. Presence of oil, dirt and other skin debris can result to blockage of pores that enlarge it. You should exfoliate your skin more than three times a week. These should be done by using clean washcloth by scrubbing it gently. Alternatively, you can use cleansing brush to wash the skin which is effective for removing skin debris that makes the pores on the skin to appear larger. Apply noncomedogenic moisturizer. For you to have healthy skin, it is advisable to use moisturize that prevent the skin from drying. To reduce the size of the pores on the skin it is advisable to buy moisturize that is labeled as noncomedogenic because it keep your skin pores healthy open. Use hot steam. Steam treatment is the best method to open clogged pores on your face and other part of the skin. In making steam treatment, boil some water and place it on a basin. Ensure it is hot enough to produce stream that rise up hot. Lower your face over the basin and cover your head using towel. Steam baths your face for about 10 minutes. Wash your face using cold water. If you repeat these practices twice per week, it will help to minimize pores on your face. Use clay masks. Clay mask can help you to reduce the size of pores on the face by removing the clogged dirt, skin debris and oil. Clay mask are local available at beauty supply stores. Mix 1tablespoon of bentonite clay, 1 tablespoon of oatmeal and 1 tablespoon of water. Wash your face with lukewarm water thoroughly, and then apply the clay mask on the face. Leave it to sit for about 15 minutes. Rinse the face with lukewarm water. Wipe it using washcloth to dry.